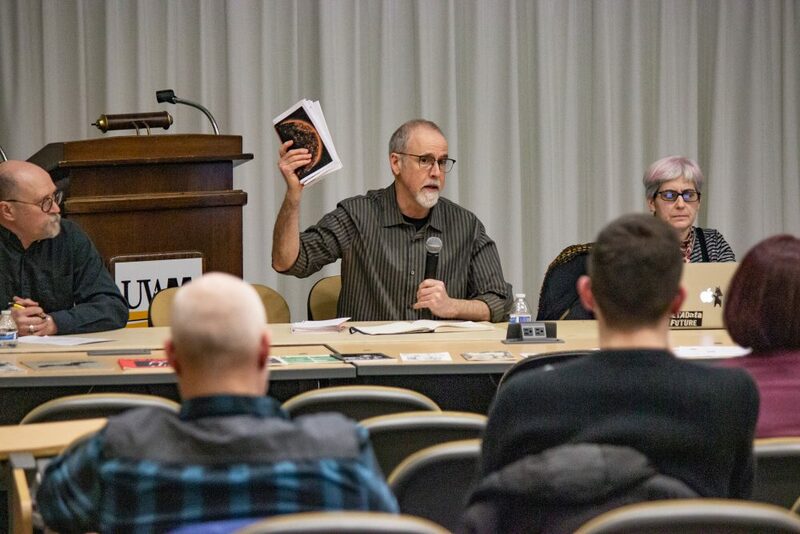 This special roundtable discussion was held in coordination with Milwaukee Zine Fest, featuring Jenna Freedman (Barnard Library, NYC), Milo Miller (UWM and the Queer Zine Archive Project), and Lane Hall (English, UWM). Zines are non-commercial publications made by ordinary people using a variety of techniques including Xerography, illustration, silkscreen printing, and collage. Often associated with the punk and riot grrrl movements of the 1980s and 90s, zines are ephemeral and idiosyncratic, personal and political, circulated in independent book stores, comic shops and through informal networks of exchange. Thirty years on, zine culture is still vital, and it has begun to reckon with its own history. 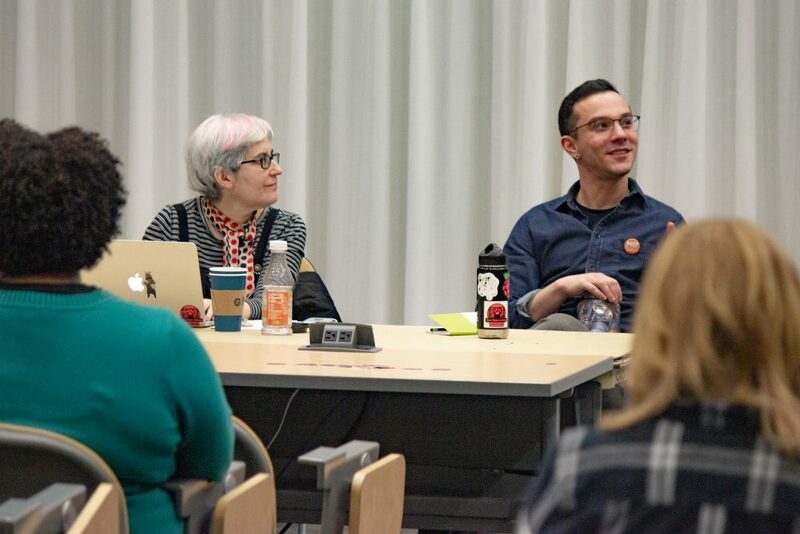 As universities, libraries, and other institutions begin to make space for zines in their collections, there are ethical concerns to be negotiated in their preservation, digitization, and in access. This roundtable will discuss key issues in the digital humanities as they pertain to the archiving of zines in particular, and archiving subcultures, marginalized communities, and ephemera in general. Jenna Freedman's talk on "Bending the Archive"
This event was planned in partnership with the Milwaukee Zine Fest. See the full lineup of Zine Fest activities at their website. Jenna Freedman is a zine librarian and makes zines. 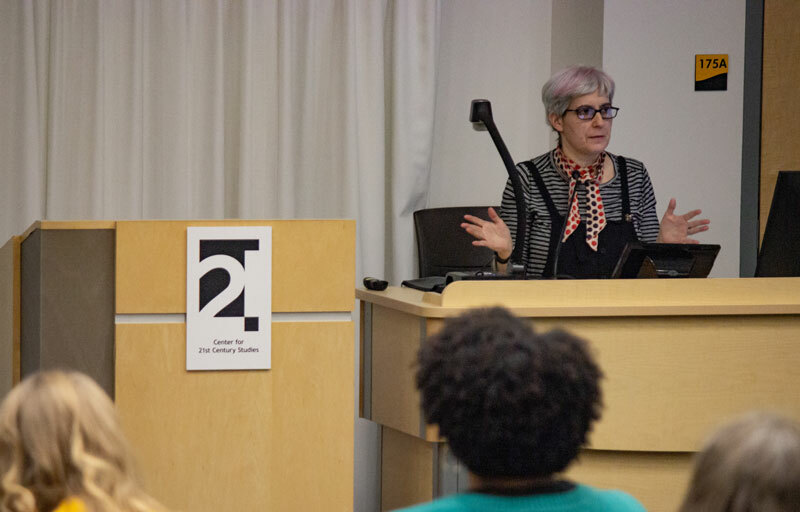 She is Associate Director of Communications at the Barnard College Library in New York City. She has published articles on zine librarianship and presented on that topic as well as on other issues in library activism. 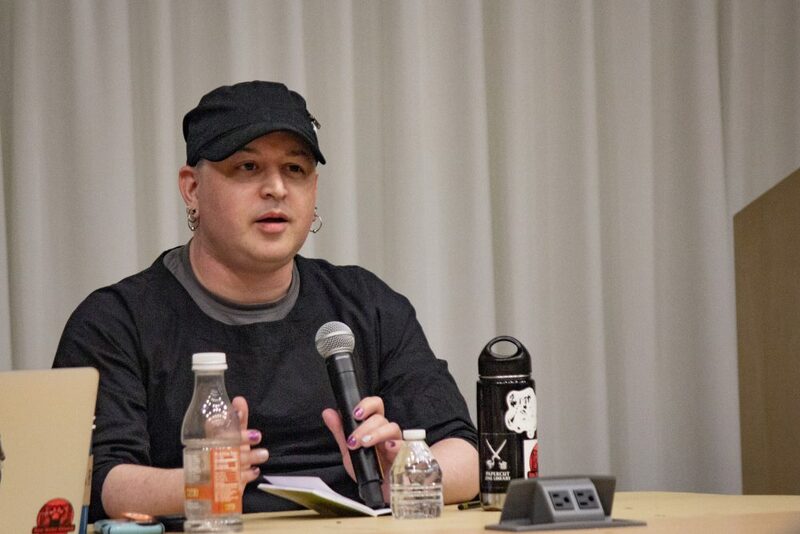 Milo Miller is a graphic designer in the College of Letters & Science at UWM and co-founder of the Queer Zine Archive Project (QZAP). Lane Hall is a professor of English at UWM, as well as a multi-media artist and writer and co-founder of the Overpass Light Brigade (OLB).